A campaign against reproduction was launched recently and is being widely discussed in the Arab world, especially among those who believe that the world is no longer a fit place for life. Therefore, it is unfair to have innocent children just for the sake of fulfilling a fantasy or lust. The campaign is known as “Antinatalism” and is managed and coordinated among its members by a group of young Arabs that are interested in this case. The founders of the campaign are the Egyptian Mahmoud Maher Abdel Hadi and a Tunisian man. Abdel Hadi started his call through writing articles calling for the cessation of reproduction. The beginning of the campaign was through initiatives on social networking sites such as the Youth Against Reproduction Campaign, the Reproductive Group and another group called “Moroccan Non-Reproductive”. Later on, these groups collaborated together under the name of “Against Reproduction”. The number of followers of the Page on Facebook has exceeded 20,000. This is not necessarily a precise number because there are those who believe in the idea without joining the page. The founders of the page say that most of those participating in the campaign against reproduction, were from Syria followed by Egypt, Morocco and Tunisia. 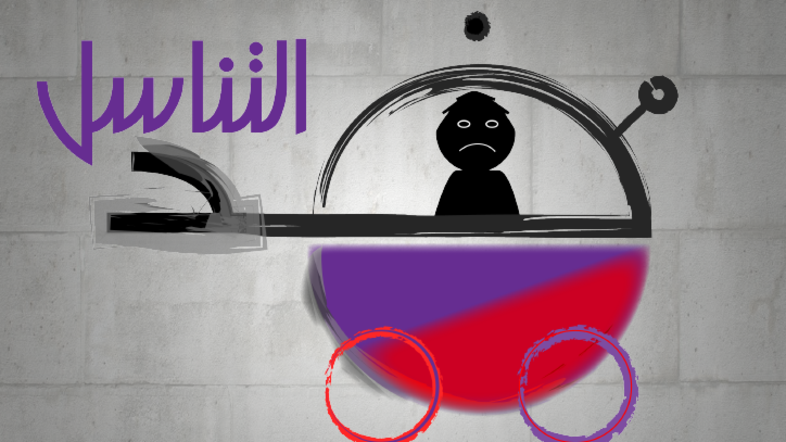 The campaign against reproduction aims to stop reproduction, and can lead to the extinction of humanity in the Arab world. But this campaign is the not the first of its kind. There are campaigns that call for the same idea in Europe called “Voluntary Human Extinction Movement” and the “Church of euthanasia”.